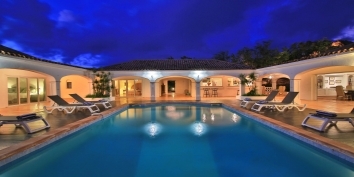 Saving Grace is back on the Turks and Caicos villa rentals market! 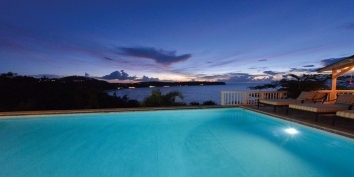 Due to a change of owners Saving Grace was not available for vacation rentals as the new owners wanted this gorgeous, beachfront villa entirely to themselves. We can fully understand that! Saving Grace is a 4 bedroom, luxury villa right on gorgeous Grace Bay Beach (regularly voted as one of the best beaches in the world) in the ‘beautiful by nature’ Turks and Caicos Islands. 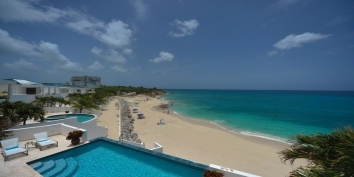 This Grace Bay villa rental is absolutely stunning inside and out and was designed to take full advantage of the magnificent views of Grace Bay Beach. We are so glad that Saving Grace is finally back and are sure it will be more popular than ever. Don’t just take our word for it, see the full villa listing and huge photo gallery of Saving Grace, Grace Bay Beach, Providenciales (Provo), Turks and Caicos Islands.